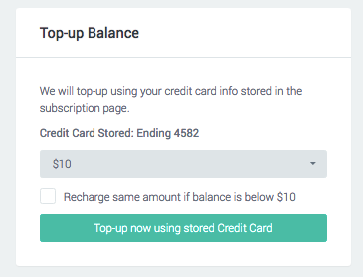 *In-order to top-up your SMS credit, you will need to update your payment details to proceed. 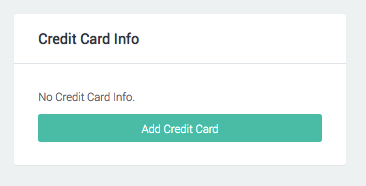 Update your credit card information in Subscription page to continue. 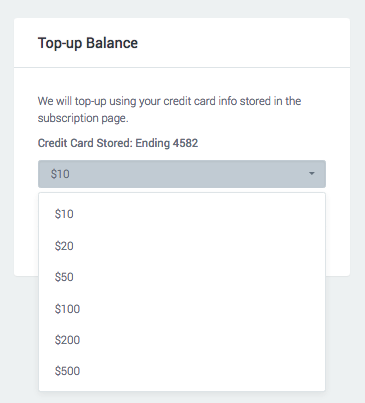 Upon successfully updated payment details, you should be able to see available value denomination selection for your top-up credit. Balance credit will be updated upon successful top-up.